CARE: A key differentiator of a Thomas Cook holiday is the way we take care of our customers, whether that’s the reassurance we offer with the 24-hour promise and reps in resort 24/7; the certainty of our rigorous health & safety audit process; or the security of our experienced support teams in a crisis, big or small. 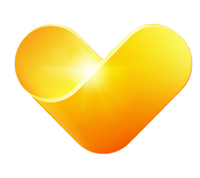 We believe that the care that we provide will set Thomas Cook apart from the competition and differentiate our brand in a crowded market. CONTACT: In a market where customer behaviour is constantly changing, putting our customers at our heart also means building direct contact with customers, whenever and however they want to engage with us. By improving customer relationship management, we’re able to build more direct personal engagement, helping us to better understand customers’ needs so as to offer more personalised experiences. We’re also following customer behaviour by further developing our web functionality and creating rich content in order to move customers increasingly from retail to the web. Our absolute focus on the customer shapes the approach that we take through the rest of our business. HOLIDAYS: We want to provide customers with unique holidays that they can only get from Thomas Cook. The development of a strong portfolio of own-brand hotels is key to our success, enabling us to provide a consistent, high-quality and exclusive holiday experience. Alongside our own-brand hotels, we also offer holidays to a streamlined portfolio of selected partner hotels where we can have a greater influence on quality and service. SERVICES: We want to give customers the opportunity to personalise their holidays through the sale of a widening choice of ancilliary products such as airline meals and seat selection, room upgrades and excursions in resort. We are also leveraging the most trusted brand in travel to launch a new range of travel-related financial services, building on the success of our multi-currency cash passport and travel insurance products. PARTNERSHIPS: Alongside our core areas of strategic growth, we will enter into partnerships with third parties where it makes sense for our business in order to target growth opportunities in new markets, supplement our own in-house expertise and leverage the strength of the Thomas Cook brand. We will underpin everything that we do with a rigorous focus on operational efficiencies, removing duplication across our markets and continuing to simplify our organisational structure.